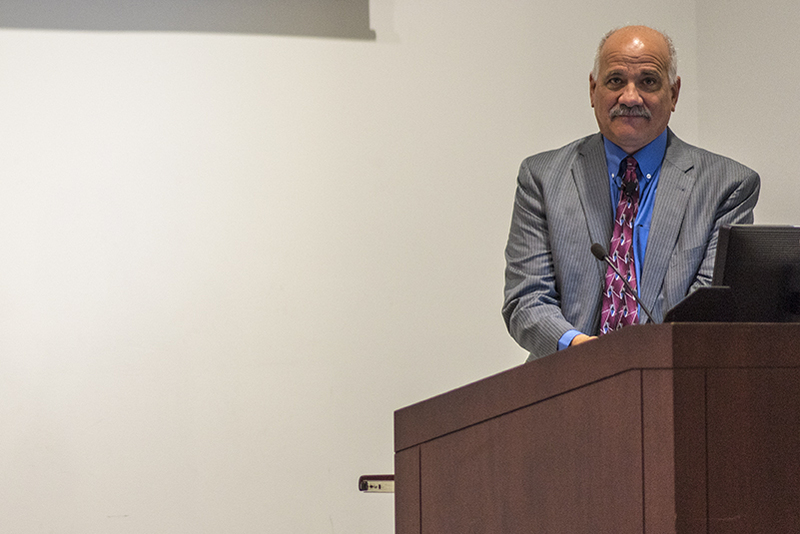 Diversity was a primary concern among those attending a student-only question-and-answer session Tuesday evening with chancellor finalist Jeff Elwell. Jada Kelly, a sophomore studying political science and Africana Studies from Chicago, said the programs in which minority students often enroll are usually the first to receive cuts. Elwell said the level of university support for programs should align with the level of demand from students enrolling in those programs, adding the metrics and recommendations are ultimately deliberated by prioritization committees. Brandon Kyles, a junior from Chicago studying political science, asked what Elwell would do to make LGBTQ students have faith the administration can adequately handle homophobic incidents on campus. Elwell said his immediate action would be to publicly condemn the act and hold those responsible accountable. Asked what he thought about the Black Lives Matter movement, Elwell said he thinks it is important and considers himself an advocate for social justice. Abdulsamad Humaidan, a curriculum and instruction doctoral candidate from Taiz, Yemen, asked what Elwell would do to keep SIU an inviting environment for international students in the face of budget cuts and President Donald Trump’s recent executive order that bans travel to and from several Muslim-majority countries. Humaidan, an SIU student for nearly five years, said he always saw the campus as welcoming but worries that budget cuts will reduce graduate assistantships for international students, many of whom need those positions for their visas. Elwell said prospective international graduate students should research which programs are strongest and have the most resources to ensure they are supported during their time at the university. Addressing the university’s financial crisis, Elwell said the state budget impasse is only part of the problem. Also at issue is SIU’s declining enrollment, he said. Elwell said now that the university has opened in-state tuition rates to out-of-state students, the best course of action would be to aggressively market itself to students from other states. The next student-led forum will be for chancellor finalist George Hynd from 5 to 6 p.m. April 19 in the Student Services Building room 160/170. Staff writer Marnie Leonard can be reached at [email protected] or on Twitter @marsuzleo.